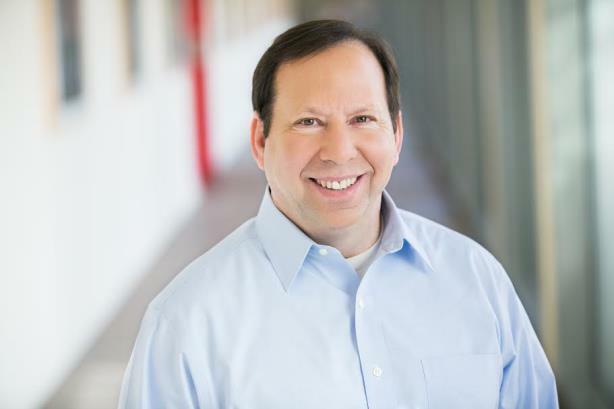 Craig Rothenberg, founder, Rothenberg Communications, lays out eight attributes that can light a path to success. While I was participating in a panel discussion last October at the Newhouse School at Syracuse University, soon after I’d resigned my position as CCO at Turing Pharmaceuticals, a student asked me if the decision to resign was the toughest I’d ever faced. I thought about it and replied, "Actually, it really wasn’t. I believe that if you’re clear about who you are, what matters to you, and the values you hold close, often the biggest decisions are among the easier ones to make – not the toughest." Looking back now, with a few additional months of perspective – and a steady stream of news from the Turing offices – I believe that even more strongly. After 35 years in PR and corporate comms, the last 20 at Johnson & Johnson, I decided to open a consulting practice. In establishing my firm, I decided to focus on areas where I have equal parts expertise and passion, hoping to deliver value to organizations, as well as business and communication leaders, as they advance their missions. The fundamental skills needed for success haven’t changed that much from when I started out, nor will they drastically change. Here are eight attributes I believe can light your path to success. Know the business. All we do must be deeply rooted in the business, so it’s imperative that we be businesspeople first and communicators second. How best to do that? Let me focus on one simple concept: mentors. Identify and align yourself with people who can help you develop your understanding of the business. Take a wide view. Be knowledgeable about the world. Many forces are at play, each of which can affect your business, customers, and stakeholders. Peer around corners and frame that for your business leaders so they have context for your communications recommendations. Be intellectually curious. Play the investigative journalist, the person eager to ask tough questions. I am a firm believer that, when we do our jobs properly, we should ask questions colleagues will find awkward, even uncomfortable. Have gumption. There should be a few times each year when we leave a meeting wondering if we might have "counseled ourselves" out of a job. At times doing our jobs well means taking an unpopular stand or providing counsel our leaders might not want – but need – to hear. We owe it to them to take a broad view that looks out over multiple stakeholder groups. Write, write, then write some more. Stated simply, if you can’t write, you have no business being in this field. It’s at the core of all we do. We shape the narratives, explain the positions, missions, and visions of our organizations, and answer tough questions. Since the best writers most often are the ablest thinkers, you should take every opportunity to hone your writing chops, learning what good writing is from those who do it well. Practice humor, humility, honesty, and honor. We perform intense, pressure- packed roles. A little humor – combined with humility, honor, and honesty – will go a long way to building trusted long-term relationships, positioning you well with your teams, leaders, and organizations. Be essential. I developed a curriculum for comms teams at J&J. It was a presentation I called "Be Essential," which began with this question: "If your business leader were given funding to run a start-up within your organization and told that he or she could select five or six people to be on the initial leadership team, would you be among them?" If so, great; if not, what do you need to do to be essential to that leader? Earn the respect of business leaders by knowing what matters to them. Integrity and ethics. I consciously saved this for last because if it’s the only thing you remember from this article, I’ll be pleased. In all that we do, we have to be an internal conscience, always acting with integrity and ethics. Only then can we help our leaders earn the respect and credibility from the stakeholders we seek to engage. Don’t let that standard be a loose one – it’ll sink your ship, as well as those who are on it. As an evolving profession, I know that it will take the next generation to reinforce our role of counseling leaders, convincing the public, building trust, and using ethics, integrity, and values as the guideposts that move organizations large and small into trusted places. Craig Rothenberg is founder and CEO of Rothenberg Communications and a former VP of corporate comms at Johnson & Johnson. He was also briefly the communications leader at Turing Pharmaceuticals.